The technology market is open to concepts that transition from the corporate realm to the personal, and vice versa. Economies of scale are being replaced with low volume customization. New legislation and investment rules are creating demand for new services. The rapid pace of change in electronic components, internet speeds and develop costs has made it possible for more tech focused startups to emerge and become successful organizations. Below are the top 5 industries that we have identified for future growth of new startups. 3-Printing will change consumers habits similar to what the personal printer did in the 1990’s. Everyone will soon have access to right-here, right-now capabilities to build whatever they imagine. The market for providing 3-Printing plans, designs and conceptual objects is set to explode as the hardware costs become more affordable. Imagine designing, manufacturing and selling your own line of jewelry, toys, art works, etc. The next level of custom, low-volume printing applies to specialized industries like aerospace, automotive and medical. These are high-dollar revenue items which require specific, sometimes unique (e.g., dental replacements or prosthetic limbs), manufacturing. The flip side to this industry is to produce the 3-D printing equipment itself. While this space is starting to get a little crowded, it appears there is still room for more players. Expect consolidation in the coming years as smaller companies merge / acquire. Overall, the 3-D Printing market is anticipated to exceed $3 Billion in the next 3 to 5 years. More companies are going paperless, either by design or by law. Electronic medical records will increase by millions of virtual pages over the next few years. Financial institutions need to maintain records of every transaction. Large public corporations are needing to keep all emails, filings and digital correspondences for years. What companies like Dropbox have done for personal storage and sharing, new technology is needed for corporate storage and retrieval. Data Storage Vaults (DSV), also called Virtual Data Rooms (VDR), can charge up to $1 per record for maintaining a secure repository for corporate records. Clients may perceive their Data Storage Vaults to reside in “The Cloud”, but a practical realization of this service requires physical storage (e.g., racks of redundant hard drives), software applications, power systems, cooling systems, high speed connectivity and a secure location (often more than one) not just from theft, but also natural disasters. Companies have spent around $500 Million last year on Data Storage Vault services; This should jump more than $15 Billion by the end of the decade. As with many technologies, there are complimentary services to the primary industry. With increased amounts of data storage, there is an ever growing need to understand and make use of the data. In a Data Storage Vault, companies need to be able to extract relevant materials in case of a lawsuit or contested patent. With publically available information , companies are looking for consumer trends and indicators for their sales and marketing campaigns. Government agencies are also looking to use “Big Data” to identify security threats, anticipate pandemic disease occurrences or make your daily commute easier. Expenditures through third party providers has recently been under $350 Million, and expected to reach $1 Billion in the coming years. No longer limited to single-use LED-embedded T-shirts and hats, the wearable electronics market has exploded: Virtual Reality gaming headsets , smart watches, computerized contact lenses for monitoring / releasing medicine, 3-D glasses, and the list goes on. 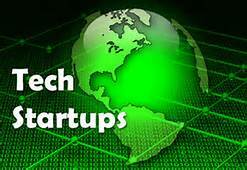 CES 2014 host dozens of startups looking to enter this fast growing market. Right now, the application is limited to your imagination for what consumers would purchase, and the limitations of the battery life to power your product. Sales of wearable electronics were nearly non-existent up to last year; Expect this increase exponentially to the $100’s of Millions over the next two years. Sensors in your shoes, fit-bits on your wrist, sleep monitors under the pillow and a plethora of smart phone apps to track, share and compare your every move are the latest consumer craze. This is a relatively low cost industry to get started in, but requires an innovative idea to interest consumers. Beyond the fitness market are medical devices to monitor glucose levels, blood oxygen levels and other diagnostic indicators. Coupling this hardware with electronic medical records may allow doctors to monitor patients in real-time, anywhere. Investors have pumper over $1.5 Billion into new personal health electronics companies last year, and this looks to be accelerating towards $5 Billion by next year.